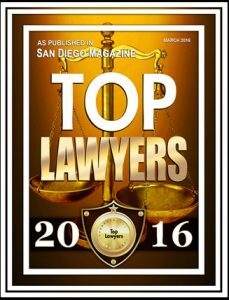 • With more than three decades of experience in business litigation and consulting, our law firm understands that every client is unique. • We listen, to understand what concerns and motivates clients, valuing first and foremost what a client has to say. • We act, to protect clients when they are threatened, and to assist clients when they are challenged. • We communicate every step of the way to ensure that what our firm does directly reflects our client’s goals. Every phone call is returned. Every email is answered. Our work with clients is not about a single case or project. It is about building a relationship so that as challenges come and go, we will be always ready to help in any way we can! Being sued is something most people and businesses hope to avoid throughout their life. Unfortunately, however, it has become almost a sign of success in California. The more visible your business is, the more success you enjoy, the chances increase that you might find yourself enmeshed in litigation. Litigation, threatens a business on three levels: (a) the legal expense in pursuing or defending a claim is virtually impossible for a business to control, and can become a “black hole” in the budget of a business; (b) litigation saps the energy, creativity and time of key personnel who find themselves worrying about, and becoming active in, the litigation – this “hidden cost” of litigation can sometimes become a larger issue than attorney’s fees or costs; and (c) losing litigation is always a risk, and a case that is initially viewed as a “minor skirmish” can, on occasion, grow to a level that threatens the continued existence of a business. Many business people who have gone through the process compare litigation to nuclear war – frequently at the end, after a trial, both parties consider themselves losers, regardless of who might have prevailed in Court. In light of these risks, we approach business disputes with an eye toward minimizing costs and enhancing the likelihood of early resolution, keeping in mind that businesses often have better things to do with their time and money than litigate. Initial Case Evaluation: Whenever you are sued, you find yourself in a situation where you need to sue someone else, we will evaluate your case. This will involve not only considering the relative strengths and weaknesses of your position but also discussing in a candid way the expense of pursuing or defending a claim. One on One Attempts at Settlement: Sometimes it is possible to contact the other side and resolve a matter before litigation is initiated. We will make certain those attempts are exhausted before proceeding further with your case. Mediation is a process where parties try to settle their disputes using a “go-between” who is either a lawyer or retired judge, specially trained and experienced in resolving disputes of all kinds. Unfortunately, parties frequently wait until the eve of trial to attempt resolution. By that time, they have wasted tens (or perhaps hundreds) of thousands of dollars in legal fees and costs. If the parties are agreeable, we will attempt to mediate disputes at the beginning of the litigation process, before those legal costs are incurred. Our firm has strong relationships with several mediators and a record of success in early resolution of a dispute. Arbitration/Litigation: At times, despite their best efforts, parties find themselves headed to trial. We have extensive experience in litigating cases through trial and appeal and are always prepared to aggressively represent your interests in court or binding arbitration. From real estate litigation to collection litigation and everything in between, see how Robert L. Shipley, APLC can assist you.